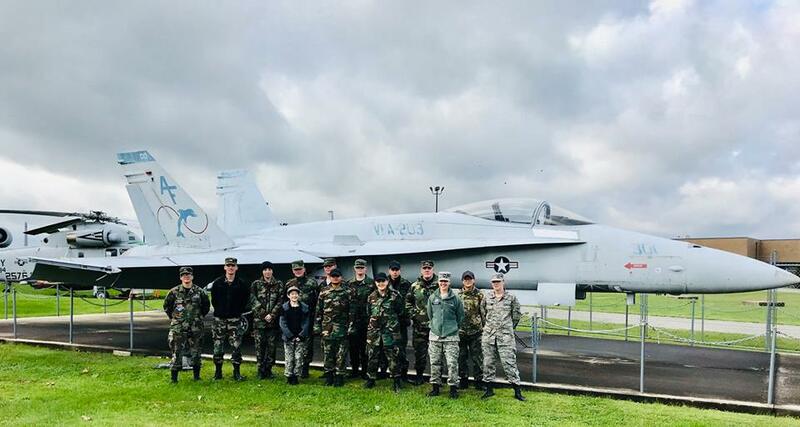 We were at Civil Air Patrol – Pennsylvania Wing’s Great Start hosted by Group 3 at Horsham Air Guard Station this weekend! Special Thanks to: our Group Commander-Lt Col Herr, our Director of Operations-Lt Col Suplee, Capt Collins & Lt’s Bill and Susan Wilfong from Civil Air Patrol General Carl A. Spaatz Composite Squadron 812, Brad Kenny, Wayne Gotlib, Alex Pantaleo, Lt Hanson, all the cadet cadre, all our new cadets from Valley Forge Military Academy & College, and Wings of Freedom Aviation Museum – DVHAA! It was a fun and informative start to many cadet’s journey in Civil Air Patrol! We are especially proud of our Cadet First Sergeant for staffing this school!